It was good to see so many of you at the Platform Office last Thursday, and again thank you for bringing your photographs along. 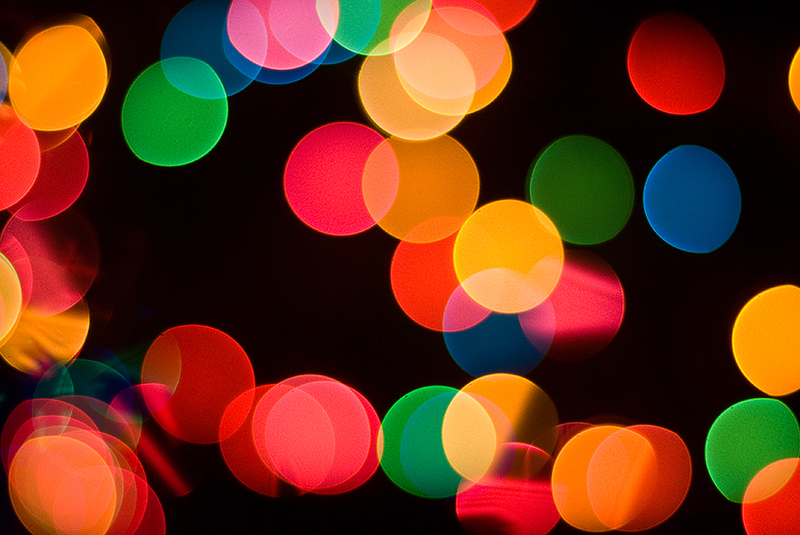 Your photographic mission for our January meeting is 'Christmas lights'. The following picture is offered to provide inspiration. I will also look into another day with David Chapman. Our last one at Lands End was much appreciated by all and I will have a talk with David in the near future about a get-together in the coming months. Caroline treated me last year to a day out with Ross Hoddinott (see his website www.rosshoddinott.co.uk). This was an extremely beneficial and enjoyable day. If there is sufficient interest then I could approach Ross with a view to him taking a group of us, if he is willing to do so. Perhaps we can discuss this at the next meeting. As mentioned before, the annual exhibition could not be held this year because of a lack of venue. We had hoped to possibly have the old bookshop next to Lloyds Bank but they did not respond in time. Jenny E had suggested the possibility of a summer exhibition and this could be a good alternative, particularly if the bookshop is still available at that time, so we will keep looking into this. As mentioned previously, there is our weekend field trip to Bristol in January and a good number of us are going. If anybody else is interested please contact me or Lindsay. Our next field trip, on Thursday 28th January, will be to do some night time photography. 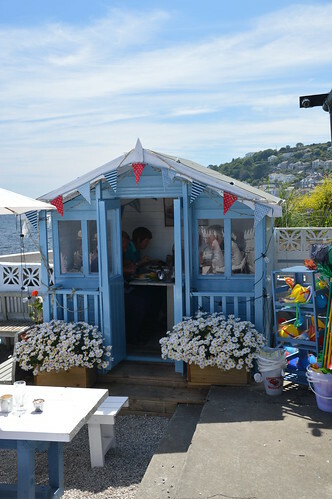 I had previously indicated Looe as we went there last year, but Fowey has been suggested as an alternative. I will send out a field trip sheet later on this basis. Look forward to seeing you all next year, and in the meantime Caroline and I wish you all a very happy Christmas and prosperous New Year. I gather you had a great day at Cotehele on the last field trip and my apologies for not being able to attend. I will try and do better in future but thanks to Lindsay for leading this trip. We had a really good evening at our photography group get-together on 5th December, and thank you to all of you who came along and contributed. I got the impression it was much enjoyed by all. Thanks to Caroline, Lindsay and Marion for providing the food. There won't be a field trip this month, as it is so close to Christmas, so our last meeting of the year will be tomorrow at the Platform Office, so please bring along your photographs. As well as that, Lindsay has put together a diary for next year's events so we can do some forward planning, and if any of you have any ideas on field trips then please do put them forward. We do of course have the weekend field trip at the end of next month (field trip sheet can be viewed here ) should you wish to come along. Our normal January field trip would be on 28th January, just after the weekend field trip, but I felt it worth doing something as I guess not all of you will be coming to Bristol. There has been quite a lot of prompting for another night time photography trip, so I would propose going to Looe as we did before, taking photographs during the evening and then perhaps having a pub meal or fish and chips afterwards. Look forward to seeing you at the Platform Office on Thursday, and for those of you who can't attend I wish you a very Merry Christmas and a Happy New Year, and plenty of photo opportunities. http://www.lostwithiel.org.uk/events/event/10-Dec-2015/dickensian-evening The Lantern Parade is scheduled to start at 6-15pm. Vote for your favourite photo on-line before 5th January 2016 see http://www.nhm.ac.uk/visit/exhibitions/wildlife-photographer-of-the-year-2015-16-exhibition.html At the time of writing the image below is leading the popular vote. What do you think? Pictures of the group hard at work and play! We had an excellent afternoon at the Platform Office yesterday and thank you all for bringing so many photographs. It was particularly good to see photographs from the previous field trip to Screech Owl Sanctuary, and there were also a good selection of photographs for our November subject of 'door furniture'. We talked about next week's field trip on Thursday 26th November, and I was struggling a little with this, trying to find somewhere that gives some flexibility depending on weather conditions. Lindsay has suggested Cotehele and a field trip sheet is available here. Cotehele opens at 11am so I suggest meeting in the main car park by the main house at 10:45am. Whilst the house will not be fully open there will be things to see there, and if the weather is kind plenty to photograph outdoors. There is also the prospect of lunch and afternoon tea. There will be no field trip as such in December as it is so close to Christmas, but we will have our usual Platform Office meeting on Thursday 17th December at 2pm. The subject for December is to take photographs with your mobile phone (or compact camera, if you don't have a camera on your phone), so please bring plenty of photographs along. Looking ahead, we have a weekend away at the end of January, kindly arranged by Lindsay and Marion. I have already sent a field trip sheet for this but have attached it again in case you missed it. This should be a really good weekend for photographing in and around Bristol with good company. As regards taking photographs, don't forget Dickensian Evening on Thursday 10th December from 6pm onwards, which is always good and a chance to try some low light photography. Regretfully, despite our best efforts and a lot of work on Lindsay's part, we have not been able to obtain a venue for our annual exhibition. Even if we had I would suggest it is now too late in the day to prepare for it. Therefore, we will not have an exhibition this year, but will aim to make plans for Christmas 2016. I am still running workshops on a Monday evening and have extended my office accommodation so it is a little more comfortable. If you would like to come along then just give me a call on 01208 871100. The workshops are most Monday evenings and I still have one or two spaces for 14th December, 21st December and 18th January onwards. Lindsay and Marion are organising a group photography weekend in January, a field trip sheet attached. This will be a weekend away in Bristol from Sunday 24th January to Tuesday 26th January. Details are outlined in the attached sheet. Hotel details are shown (the Mecure at Bristol Brigstow) if you wish to stay there, or alternative accommodation in Bristol if preferred. Several of us have already booked, so hopefully more of you will be able to come along, it should be a good weekend photographing the sights in and around Bristol. We can discuss this further at the Platform Office meeting next Thursday 19th November, or you can make contact before then. We had two field trips in October, one to Respryn to look at the autumn colours (perhaps a little too early) and another to Screech Owl Sanctuary. Regretfully I was only able to attend part of the first field trip and had to miss the second, so thanks to Caroline for looking after the first trip and to Marion for organising and leading the Screech Owl Sanctuary trip. This month, we have our usual third Thursday meeting at the Platform Office, on Thursday 19th November at 2pm. Please bring along your photographs from the field trips and also don't forget our current assignment of 'door furniture'. I haven't arranged a field trip for the following week yet (Thursday 26th November) and would appreciate any ideas that we can discuss at the next Platform Office meeting. Caroline has suggested a trip to Dartmoor, but this will obviously be more weather-dependant. We can at least gauge the long-term weather forecast nearer the time and think of an alternative to suit if need be. I am grateful to Lindsay and Marion, who are putting together a field trip calendar for the coming year. This will give targets for particular events that I always seem to miss, such as the wildflowers at Crantock, etc. The possibility of a venue for our annual exhibition is still being looked at, but hopefully there will be some news fairly soon. Taking consideration of last year's successful exhibition it would be good to continue. We have had trouble successfully projecting images at the Platform Office, and Keith is looking into having some blackout blinds made and hopefully these will be available for our next meeting. If not I will bring along a reasonable-sized monitor so that we can at least have something better than looking at a laptop screen. Therefore, I look forward to seeing you all on Thursday 19th November at the Platform Office, so please bring your photographs together with any ideas for forthcoming field trips. Our November meetings will be back to normal, with the usual Platform Office meeting on Thursday 19th November, and a Field Trip on Thursday 26th November. I had originally suggested Tintagel for the Field Trip, but as mentioned in my last email there are limited opening times at this time of the year. Caroline has suggested a trip to Dartmoor, so perhaps we can discuss this or any other thoughts you may have at our next meeting. We did talk about having a theme for photographs each month, so for October/November this will be 'door furniture', so I look forward to seeing your photographs at the next Platform meeting. In the meantime, keep taking photographs. 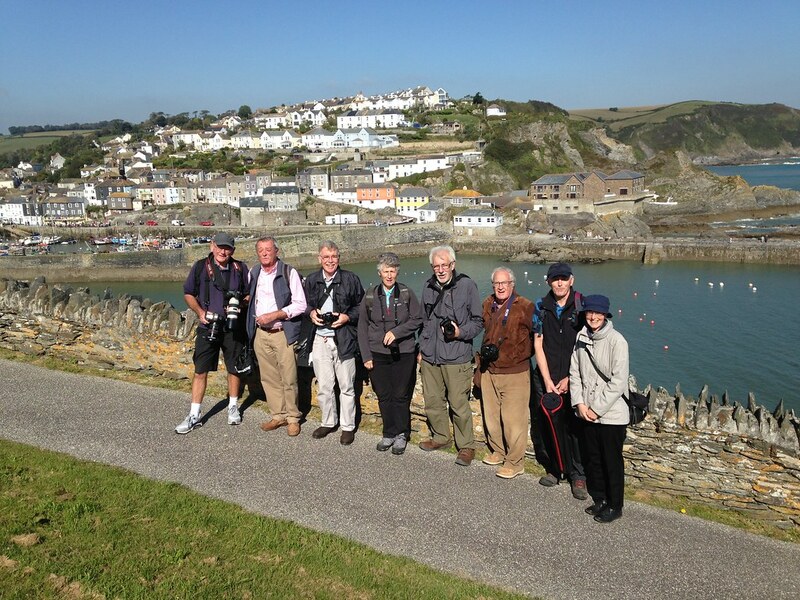 We had a fantastic day at Mevagissey yesterday with superb sunshine and great company. 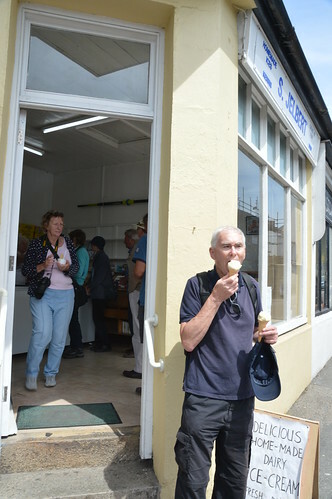 There was the usual coffee break, lunch break and lashings of ice cream in the afternoon, and it was mentioned did we actually have time to take photographs?! Well of course we did, and look forward to seeing them at the next Platform Office meeting. Just a reminder that our next meeting on 15th October was due to be at the Platform Office, but this has now been changed to a Field Trip to Respryn to photograph the autumn colours. A field trip sheet for this is attached. Our official October Field Trip will be on the usual fourth Thursday of the month, on 22nd October. This will be to Screech Owl Sanctuary and I will send more details in due course. For our November Field Trip, I would suggest Tintagel, and again more on this later. In November we will be back to normal with our usual Platform Office meeting, on the third Thursday of the month, 19th November. The Field Trip will be on the 26th November. Thanks for all of you who came along yesterday, it was a great day, and I look forward to seeing you next time. There is no Field Trip this week and our visit to Mevagissey has been moved along a week to Thursday 1st October. Plenty of photographs for us to see at our last Platform Office meeting, and once again thank you all for bringing your work along. Anyone wishing to have prints can purchase in advance some photo printing vouchers. These will be available at our workshops and meetings. Each voucher is worth £1.25, so whenever you would like a printed photograph, simply hand in one or two tickets (depending on A4 or A3). I hope you will agree this will make the process of handling cash much simpler. There are a few changes to our forthcoming schedule, which are as follows. Our next Field Trip was to be on 24th September, but it would appear that most of us are engaged on other activities, so the Mevagissey Field Trip is now moved to the following week, Thursday 1st October. Our Field Trip on 22nd October was possibly going to be looking at autumn colours, but because of half term and other commitments this has been moved to Thursday 15th October, and will replace our normal Platform Office meeting. Finally, it has been suggested that our October Field Trip is at Screech Owl Sanctuary. http://screechowlsanctuary.co.uk. Details to follow. A possible trip for November could be to Tintagel, but we will look more at this later. We were also talking about another night photography shoot, perhaps in Looe again. We discussed the possible annual exhibition this year, and after last year's success at Nanadobbie, we might find it difficult to exceed this. However, options are being investigated and we will report on this later. Thursday 22nd October - Field Trip to Screech Owl Sanctuary (details to follow). I am sorry I was not able to make the last Platform meeting, and many thanks to Lindsay for chairing it on my behalf. I am pleased there is a lot of interest in the Lands End trip, and as noted before I will try and organise something with Jon Chapman on a similar basis in the coming months. We had a very good Field Trip last Thursday to Golitha Falls and The Hurlers. Also some of you went up to the Cheesewring as well, although regretfully I missed out because I had to leave early. The weather was kind and I look forward to seeing some of your photographs at the next Platform meeting. Several ideas have been put forward for forthcoming Field Trips. In October it has been suggested that perhaps a walk through Respryn Woods taking account the autumn colour might be worthwhile. We could also look around Lanhydrock at the same time if this is of interest. I will talk to you at the next Platform meeting on this. As regards future Field Trips, it has been mentioned that certain trips could be scheduled well in advance, to ensure they are not missed. For example, the poppies at Pentire at the end of June or early July, the bluebells in spring, and Waders at Hayle. As regards the latter, there is a birders cafe right on the estuary, so this could make a good trip with lunch at the cafe. Marion had also suggested having a topic or theme for each month for taking photographs. I feel this is a very good idea as it will concentrate the mind and again we can discuss possible topics at the next Platform meeting. 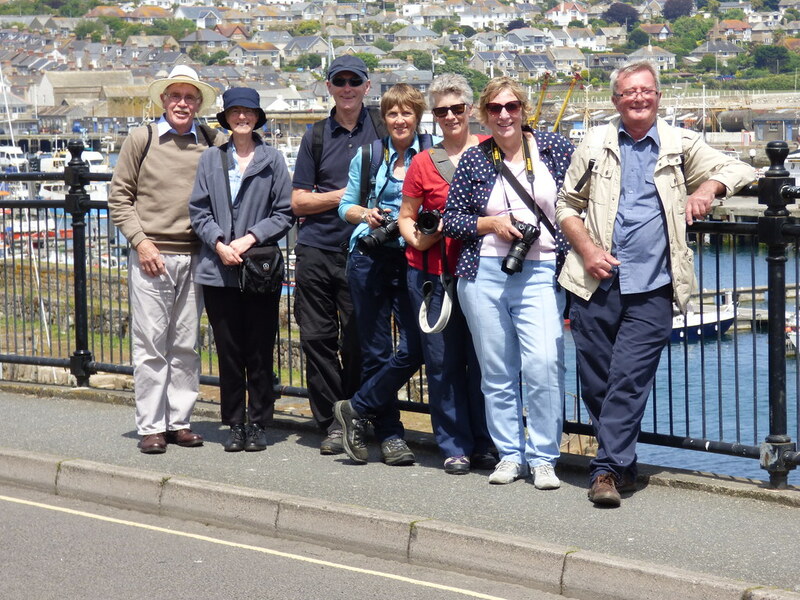 The next Field Trip is to Mevagissey, arranged by Lindsay and our usual Field Trip sheet can be viewed via this link. Depending on weather etc. this could present a possible opportunity to visit Heligan as well. I gather there is a dog show and other events at the Community Centre on 19th September, in aid of Lost in Play. Please go along to this and take photographs if you can. I have started running workshops again, and these will be on a Monday evening. I am already booked up until 14th September, but if anyone would like to come on the 21st or thereafter then please let me know. Many thanks to all of you who brought photographs along to the last Platform Office meeting. It is always good to see other people's work and discuss photography in general. 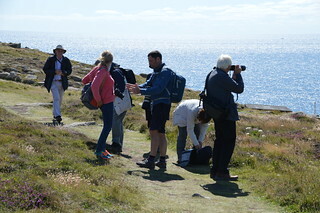 We had a fantastic day at Lands End with David Chapman and Adrian Langdon. I have seen David and Adrian since and thanked them personally and in email, for the guidance and tuition they gave us. The day seemed to be very popular, so I have dropped a hint to David that we might like another day and he has agreed, so we can talk about this at the next Platform Office meeting. Also wanted to mention that the cruise liner The World is scheduled to arrive at Fowey on Wednesday 5th August 10.00 and leaving Thursday 6th August at 23.59, could be some photo opportunities (very large liner in very small harbour). If anyone is interested I would suggest for latest details they visit https://www.foweyharbour.co.uk/commercial-information/cruise-liners. I'm sure everyone already knows the Red Arrows are due at Fowey on Thursday 20th August at 6pm, this is the day of the next platform meeting so time to go after the meeting - for further info http://www.foweyroyalregatta.co.uk - a good viewing area is Hall Farm, just above Bodinnick (opposite Fowey), parking in field for charity donation. Our next Platform Office meeting will be on Thursday 20th August, so please bring plenty of photographs with you, particularly any taken at our Lands End trip. Several people have mentioned the train ride to Penzance and walk to Mousehole trip arranged by Lindsay, and this is one we may well do again by popular request. For our Field Trip on Thursday 27th August, I would propose visiting Golitha Falls and the Cheesewring/Hurlers. This was originally scheduled for last month but cancelled because of the Lands End trip. Attached is a field trip note. I would propose going to Golitha Falls first, where we can photograph the water and woodlands, and then onto the Hurlers car park for landscape photography, and then perhaps drive up to the Cheesewring car park for more landscape photography. We would aim to get back reasonably early from this trip, to be able to then go along to the parade in Lostwithiel in the evening, for Singalong the River. Singalong the River is on every Thursday evening during August (weather permitting), so please go along and take photographs. Irrespective of that it has been an enjoyable evening in the past, so well worth attending, with plenty going on. I look forward to seeing you all on Thursday 20th August at the Platform Office, and Thursday 27th August at Golitha Falls. I have now returned from holiday and hear you had a very good day at Mousehole on the last Field Trip, seven people and lots of ice cream I gather. Many thanks to Lindsay for arranging this one. Our next Field Trip was due on Thursday 23rd of July, to visit Hurlers and Cheesewring and arranged by Jenny. However, it has been agreed that as there is a David Chapman Field Trip the following week, the usual Field Trip will be cancelled. Therefore, our upcoming meetings are next Thursday 16th July at 2pm in the Platform Office (please bring some photographs) and our next Field Trip will be on the fourth Thursday of the month, an afternoon and evening out with David Chapman at Lands End on Thursday 30th July. wide angle lens, telephoto lens and macro lens would all be useful." 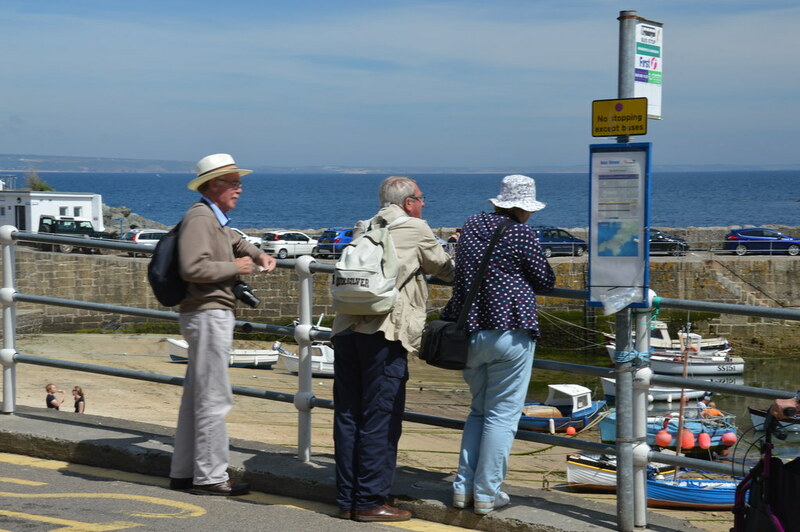 Waiting for bus back to Penzance from Mousehole on 25th June 2015. 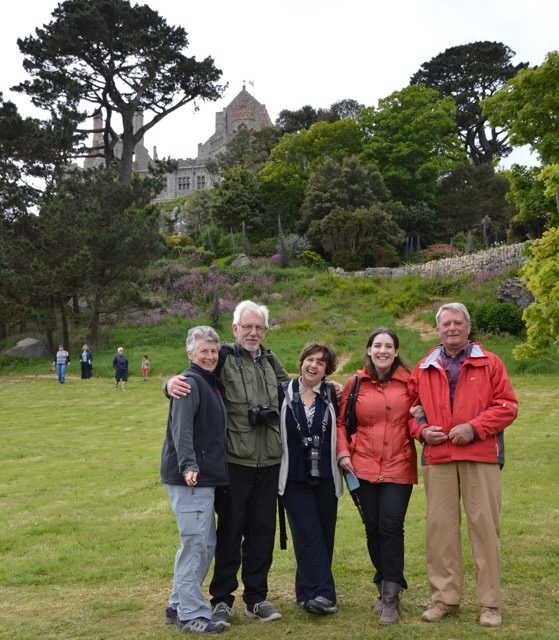 We had a great day last Thursday at St Michael's Mount and I wish more of you could have attended. The weather was good and the day was much enjoyed. Our next Platform Office meeting will be on Thursday 18th June at 2pm. Unfortunately I will not be able to attend, but Malcolm has very kindly agreed to run the meeting. Also, our Field Trip on Thursday 25th June is being organised by Lindsay, and this will be a train trip to Penzance and a walk to Mousehole (or the bus if you prefer not to walk). Below is a field trip itinerary and as you will see you will depart Lostwithiel Station at 10:07am, so please be there in plenty of time. Thank you to Lindsay for arranging this, and I look forward to seeing you for the July meetings. IF YOU HAVE A BUS PASS BRING THAT TOO!! We had a very good meeting at the Platform Office yesterday afternoon and thank you to all who brought photographs along for discussion. 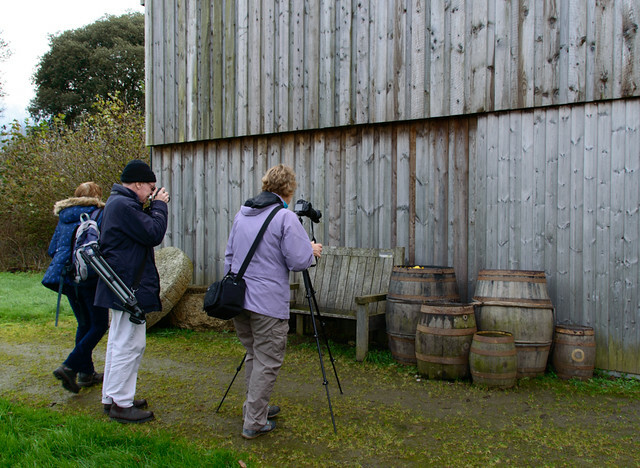 12pm-3pm, includes a two course lunch (beef casserole & apple crumble and custard) "while wildlife photographer and writer David Chapman gives an illustrated talk on some of the most interesting wildlife Cornwall has to offer." 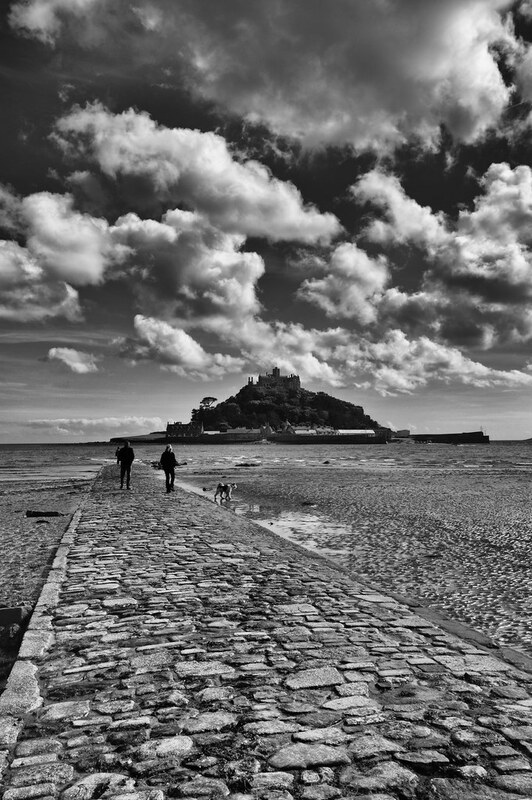 I look forward to seeing as many of you as possible at Marizon/St Michael's Mount next week. We had a couple of recent local Field Trips. The first of these was to look at the bluebells at Lanhydrock. I went there but didn't see anyone else, although I gather several of you went so I am very sorry I missed you. The second was the trip to Breney Common, but the weather was appalling during the day and I didn't really expect anyone to attend, so thank you to those who phoned me. I did go down at the allotted time in case anyone turned up and met Mike. We went round the reserve but there wasn't a great deal to photograph and it was very wet underfoot. I know several of you are interested in going back, so I will arrange another trip to Breney Common on another day hopefully. Our next monthly Field Trip is to St Michael's Mount on Thursday 28th May, and attached is a field trip sheet. My map suggests it will take just over an hour to get there from Lostwithiel, so suggest a meeting time of 10:30am. I would suggest we meet at the slipway car park (directly opposite St Michael's Mount). There are two car parks in Marazion: Slipway, which is small and busy, and Follyfield, a little further away but less busy. I would suggest we park where we can and meet at the slipway car park. Unfortunately it will not be possible to cross the causeway due to high tide (it will not be accessible on the day between 9:45am-6:55pm), so we will need to take the ferry across to the island, the fare being £2.00 each way. I look forward to seeing you all at the meeting tomorrow. Boat across the causeway: £2 p.p. We had a great day at Caerhays Castle last week, the weather was very good and we enjoyed an excellent lunch in the cafe. Hopefully everyone was able to take some good photographs. I am currently having a go at infared photography and on the right is a photo of Caerhays I took during our visit. Our next full-day Field Trip will be to St Michael's Mount on Thursday 28th May. I will provide a field trip note nearer the time, once I know the tide times when the causeway is open. If these are not suitable then there are regular ferry boats. Therefore I will send out the field trip itinerary a week before the visit, when the causeway opening times are published. Our next meeting at the Platform Office will be on Thursday 21st May, so please bring along more photographs or anything else photography related. I will bring the projector and laptop as usual, so we can see your images on paper or projected to suit. I had mentioned a trip to Breney Common on Thursday 14th May and a field trip note is attached for this. If anyone would like to come with me then please meet at my house for 4pm, or if you are travelling direct we will meet there at 4:30pm. The track through the Common is quite rough and you may wish to leave your car parked by the entrance, and either walk or I can ferry you in my old 4x4. It is also bluebell time at Lanhydrock, so I would urge you all to go up there and take your photographs. As regards a group meeting, unfortunately I will be struggling to do next week but will go there on Monday 11 May to see if there are any left, so if anyone would like to join me then I will be there at 5pm. I also talked about leading a filter workshop, perhaps on Polkerris beach. I will let you know when I have arranged this and anyone would be welcome to come along. 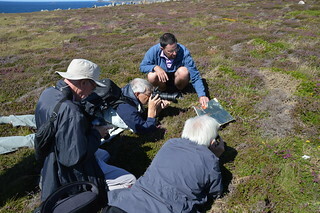 Cornish landscape, wildlife habitats, heathland & grassland, wildflowers, natural pools, etc. Camera; tripod (if you have one) or a bean bag. Breney Common is two miles north-west of Lostwithiel. Follow the Lanlivet road and take the first right under the A30 bridge, shortly after the bridge take the first left. Turn right at Reperry Cross and take the left fork to Trebell Green. Go straight on at Trebell Green towards Gunwen. The entrance track to the car park is on the left after Gunwen Chapel. We had another excellent meeting at the Platform Office last Thursday, and are now looking forward to our trip to Caerhays castle. Lindsay has kindly arranged this, and for those of you doing the house tour (Jane & Peter, Reuben, Lindsay and myself) please pay for the house and garden combined ticket at the door, and mention you are going on the booked tour. I sent a Field Trip note with the last email. Once again thank you to Lindsay for arranging this trip. Our following Field Trip will be on Thursday 28th of May, when we will be making a trip to St Michael's Mount. I will send further details of this with the next newsletter. Our next meeting at the Platform will be on Thursday 21st May, and please bring some photographs along with you. We did this at the last meeting and everyone enjoyed seeing each others work. Between now and the next Field Trip, I have a couple of ideas for some late afternoon trips if you are interested. Again, if anyone is interested I would be pleased to lead a workshop discussing a variety of filters at a suitable venue. Last time I did this at Polkerris beach, so if this is something you would like to do then please let me know. Finally, it's coming up to bluebell time, so I will arrange a very impromptu trip to Lanhydrock and post this in the next newsletter. In the meantime, I look forward to seeing you at Caerhays Castle this Thursday, meeting at the car park at 11am. Car sharing is worth considering so if anybody would like a lift then please let me know. We had a good turn out to our last Field Trip at Walmsley Marsh and a pleasant afternoon in the hide. We were joined by Adrian Langdon, the Warden for the reserve, and would like to thank him for his knowledge and expertise. Our next Platform Office meeting will be on Thursday 16th April at 2pm. I would be grateful if you would bring any photographs you would like to show, particularly those from previous Field Trips. If there are any of you who were not able to attend last month's Platform meeting, you may wish to bring some photographs that have inspired you, and those who did attend may wish to bring some more along. There may be an opportunity to look around Caerhays castle on a guided trip, but this will need to be booked in advance. Therefore, if any of you are interested then please let me know by / at the next Platform Office meeting, and we'll see what we can do. I look forward to seeing you all at the Platform Office at 2pm next Thursday, and again at Caerhays the following week. We had a really good meeting at the Platform Office yesterday afternoon, when we discussed future Field Trips. In particular, we followed up on Caroline's idea of talking about photographs that have inspired us. Everyone had something to talk about, and I particularly enjoyed Henry's adventures sneaking into railway engine sheds when he was a boy. As regards future Field Trips, our next is at Walmsley Bird Sanctuary on Thursday 26th March. A Field Trip Itinerary is attached. Because of the limited parking there, I would urge you to car share as much as possible. Caroline and I would be pleased to take two or three of you with us. I would suggest getting to the hides between 2:30pm-3:00pm and staying on for the afternoon, perhaps bringing a flask and sandwich with you. 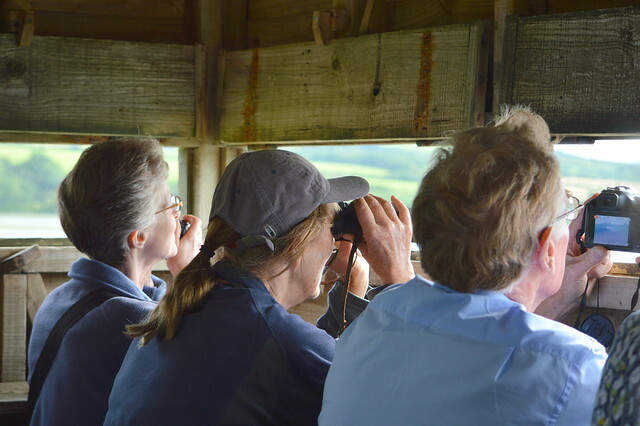 It is a bit of a trek across the fields, so appropriate footwear is recommended, but once you are in the hide it is quite comfortable and a good place to sit for two or three hours. 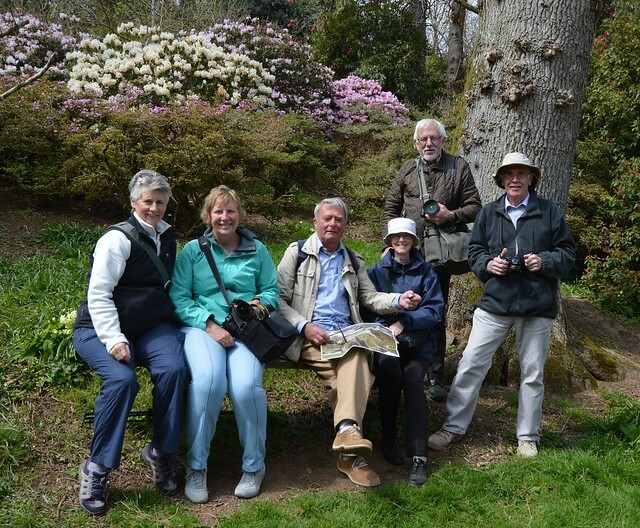 Our April Field Trip, on Thursday 23rd April, will be to Caerhays Estate Gardens. Lindsay will be arranging this, so watch out for further communication. Attached is a Field Trips calendar, and if anybody would like to volunteer to organise one of the dates, that would be good. 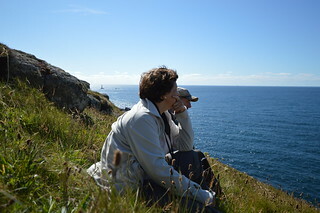 Thursday 28th May is free, but Lindsay will be arranging a trip to Newlyn and Mousehole on Thursday 25th June. 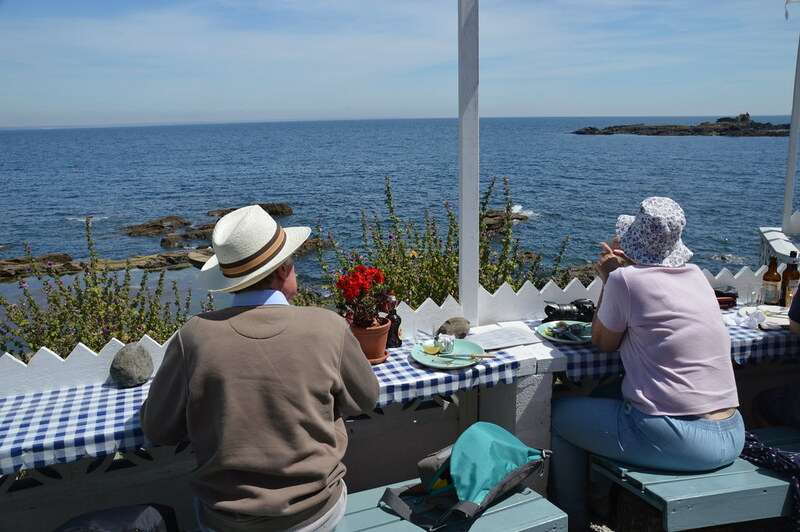 Jenny has volunteered to organise a Field Trip to the Cheesewring on Thursday 23rd July, and Marion a trip to Mevagissey on Thursday 24th September. During August, there is the Sing Along the River on Thursday evenings, so that would make a good venue for Thursday 27th August, perhaps after a morning trip somewhere. Thereafter, the Thursday 22nd October and Thursday 26th November Field Trips need to be arranged. Jenny has again kindly offered to let us take photographs in her flower meadow, and we could do this perhaps one evening or afternoon during June. Judy has pointed out the Wildlife Photographer of the Year exhibition is at Plymouth Museum from 28th March until 30th May, and I would urge you to go and see these photographs. On a final point, I am still running workshops on Thursday evenings, if anyone is interested. The 2nd April is booked, but there is one space available on 19th April, and 16th, 23rd & 30th April are free. I hope you see as many of you as possible at Walmsley next week, and don't forget car sharing if you can. Nature, landscape, birds such as waders and wildfowl, etc. Leave Wadebridge on the B3314 Rock to Port Isaac road. Proceed to the traffic light controlled bridge, over the River Trewornan. There should be a few places to park here. Leaving the car, use the narrow public footpath gate on the right-hand side, and follow the footpath across the fields towards the hide. After the first stile, keep close to the hedge on the left. Do not cut across the field. + somewhere else before then? Our last Field Trip to Rough Tor to see the starling murmurations was very good and I believe was enjoyed by all, so thank you very much to Marion for arranging this trip. Our next Field Trip, on Thursday 26th March, will be to the hides at Walmsley Marsh where we can hopefully have a good afternoon birdwatching and photographing. For those of you who haven't been, the main hide is elevated, large and comfortable. There is quite a long trek along open fields, so suitable footwear is to be recommended. I would also recommend bringing a flask and sandwiches on the day. However, I will tell you all more about this trip nearer the time. Lindsay has very kindly offered to arrange our April Field Trip, which will be to Caerhays. The gardens should be flourishing, and there is opportunity to go to the beach, so Lindsay will tell you more about this nearer the time. For our next Platform Office meeting, on Thursday 19th March, you will remember I mentioned Caroline's idea of bringing some photographs along that have inspired you and we can talk about them. We have also talked about bringing photographs from previous Field Trips to look at, so if you have something to bring then please do. I am still happy to provide the usual workshops now on a Thursday rather than a Monday, as outlined in earlier newsletters. If anyone is interested, please let me know and I will do my best to accommodate you. 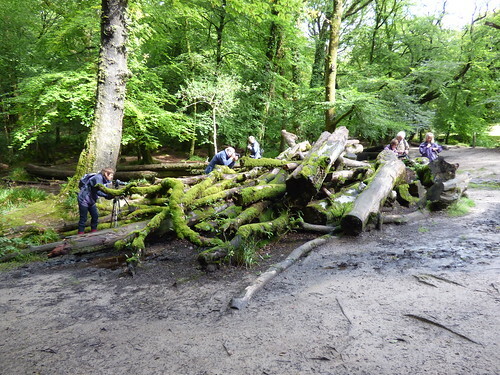 A final reminder - you will remember I suggested we all took turns at arranging Field Trips, so please have a think about this and we will discuss it at the next meeting. Therefore, our next meeting will be at the Platform Office on Thursday 19th March at 2pm, and our next Field Trip will be to Walmsley Marsh on Thursday 26th March. I will advise on the schedule for the trip nearer the time, and once I have a better idea of tide times and recommendations from Adrian Langdon (who is the warden for the Walmsley Marsh area). Looking forward to seeing you all on Thursday next week. We had a good meeting at the Platform Office last Thursday, and particular thanks to Mike Fisher who bought along some of his superb wildlife images. I am hoping Mike will treat us to more of these at future meetings. I gave a brief talk on exposure, or perhaps more to the point showed some YouTube videos on the subject. Caroline has come up with an idea for our next meeting at the Platform Office on Thursday 19th March, and this would involve you choosing one or two photographs that have inspired you. Caroline and I will bring some photographs along to talk about, and hopefully you will do the same. For our March Field Trip, on Thursday 26th March, I am suggesting another trip to Walmsley Marsh, to spend another couple of hours in the hides there. For this I will also invite the Birding Group. 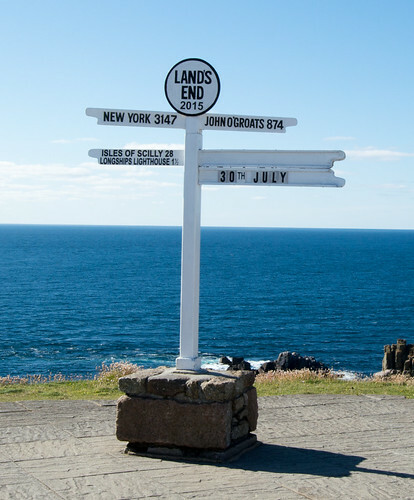 There seems to be good interest in the David Chapman guided tour to Lands End (as outlined in the last newsletter), so I will go ahead and confirm the booking with him. As mentioned before, the cost for David's involvements will be about £10.00 per person. Hopefully many of you will be able to attend the starling murmurations on Thursday, and thereafter I look forward to seeing you on 19th March at the Platform Office. We had an excellent Field Trip to the National Marine Aquarium in Plymouth last week, which was followed by the essential fish and chip supper, and some night photography along the Barbican. Photographing in the Aquarium is not that easy, but hopefully you will all have benefitted from the trip. Our next Field Trip is to see the starling murmurations, and Marion is organising this so watch this space. It is not particularly cheap, at £48.00 per person, and requires a minimum of 8 and maximum of 12 people. However, if there is sufficient interest then it is something we could explore. It gives the opportunity to photograph animals in a natural habitat, so have a look at the website and if you are interested then let me know. I have also been speaking to David Chapman about a possible workshop with him. 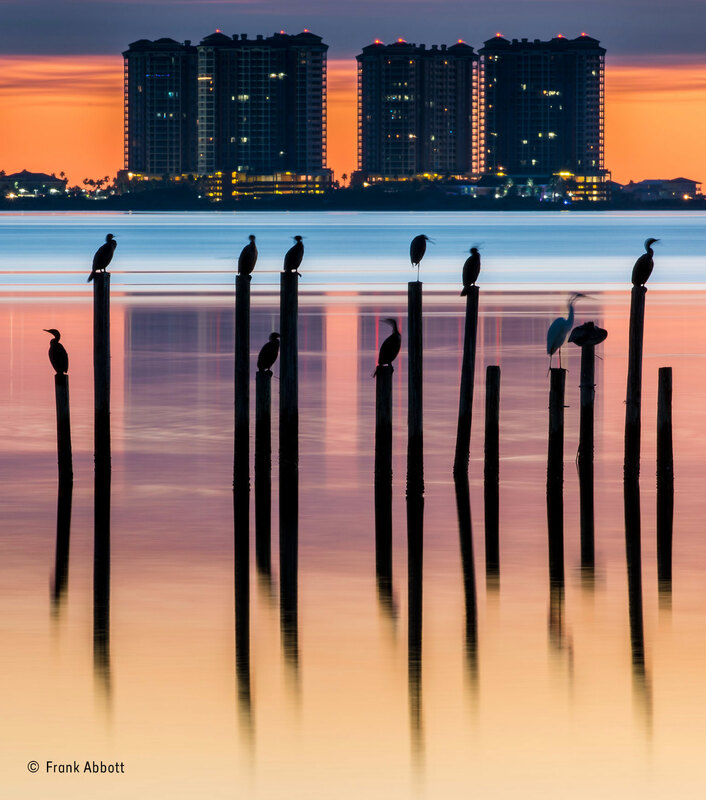 As you will be aware, he is a renowned and well respected wildlife and landscape photographer. As regards getting there, we could use the Lerryn Minibus if it is available, and David felt that if we started early afternoon and then went on into the evening, it would maximise the opportunities for landscape and as noted take in the firework display. Therefore, you would get a workshop that combines wildlife, landscape and fireworks. I have provisionally booked this for Thursday 30th July, and would appreciate your feedback as to how many would be interested in going. David will need to make a small charge, and I am guessing the final cost will be in the order of £10 each, depending on how many go. On top of this will be cost of the minibus, but to my mind this would be very good value. I have asked David to pencil this in his diary for now, and said I would let him have a firm decision after our next platform meeting, so please have a think about this and let me know, as I feel it would be an excellent opportunity. Our next meeting at the Platform Office will be on Thursday 19th February, and I hoping some of you will bring along photographs, particularly from the previous Field Trip, or anything else you have. It is always good to see everyone's work. I will put together a short presentation about exposure and filters. I am still running the workshops, on a Thursday now rather than a Monday, so if you are interested please call me (01208 871100) or fill in the form at the next Platform meeting. 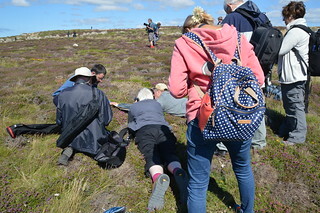 One final point - I am still waiting to hear from anybody who would like to take on the organisation of future Field Trips, so please call me if you are happy to have a go. 5 p.m. may be later before birds appear at dusk. From Community Centre take A390 left to No Man’s Land turn right towards Bodmin B3268, go under Railway Bridge, after 100m turn left in Boundary Rd, follow road to next roundabout approx. 1.5miles, go straight over onto A389 in direction of Wadebridge. After approx. 2.5 miles bear right onto B3266 towards to Camelford, follow this road to Camelford, joining the A39. Drive through Camelford and then turn right (there is a small sign for Roughtor), follow this road to its end. We had a a very good meeting at the Platform Office last Thursday, with lots of ideas for forthcoming Field Trips. As some of you are aware, I still work full-time and sometimes find it difficult to devote the time to the Photography Group. Lindsay had suggested perhaps sharing the load, with other people taking on organisation of the Field Trips etc. on a monthly basis. I have arranged the Field Trip for this week (Thursday 22nd January) and Marion has taken on the organisation of the Field Trip for next month (Thursday 26th February), so I would appreciate any volunteers or ideas for future Field Trips. I would still put together the newsletter etc. but the distribution of organisation strikes me as a very good idea, and will involve you more in the group. As regards workshops, I am still happy to run these on a weekly basis, but as Caroline is at University on a Monday and doesn't get back until late, I have decided to make the workshops run on a Thursday, so that basically every Thursday will be a photography day in one form or another. I already have a few dates booked, starting 29th January, and if you are interested in attending a workshop then either call me (01208 871100) or fill in the form at our next Platform Office meeting. 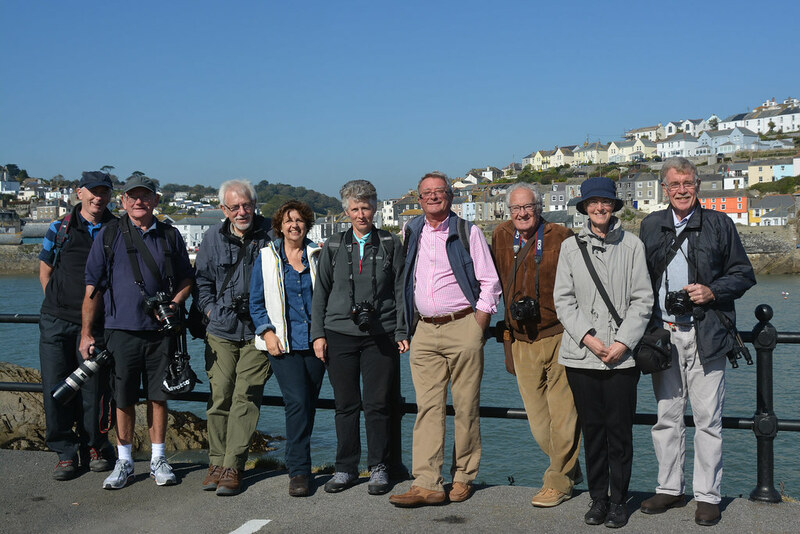 Before I go on to the ideas for Field Trips, I would like to remind you all that you must be a paid-up member of Lostwithiel Area U3A to be able to come along. Our next Field Trip, this coming Thursday, will be at the National Marine Aquarium in Plymouth. We will meet in the entrance at 2pm and once we have finished there, go on to do some photography around the Barbican (low-light and nighttime). This will no doubt involve a fish and chips dinner at some point. Please find a Field Trip sheet attached. The February Field Trip will be to go in the direction of Camelford, to photograph the starling murmuration. Marion has kindly offered to organise this, so there will be more about this next month. I will also put together some notes about photographing this event. Other Field Trip ideas are listed below, so if anybody would like to take them on, please let me know. 12. A possible trip to the Somerset Levels - my Father-in-Law has extensive knowledge of this area and we could meet him for a guided tour. This may be a possible trip to use the Lerryn Minibus, rather than take several cars. 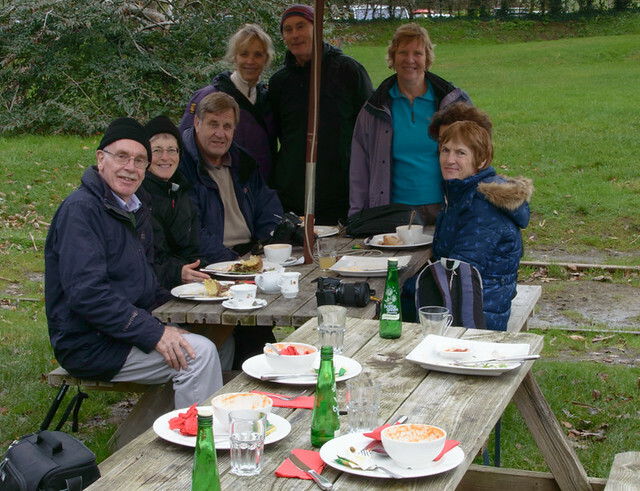 It would also be a good trip to combine with the U3A Birding Group. If anyone has any other ideas, please let me know. For those of you who will be taking on organisation, the attached Field Trip sheet is editable as a Word document, so you can fill in the details and health & safety information etc. as appropriate. Keith has kindly offered to put together a site for displaying our photographs on the Lostwithiel Area U3A website. I would propose putting together a selection of photographs from the exhibition (which I still have on my computer), provided nobody has any objections. Therefore, if you do not want your photographs to be displayed in this manner, please let me know within the next week or so. Keep an eye out for events coming up, such as LostFest (Sunday 17th May) for good photo opportunities. We briefly touched on the possibility of selling our remaining photographs and cards, by perhaps taking a stand at one of the upcoming local events, such as Antiques Sunday or LostFest, to see if we can sell more photographs. Again, if anyone is interested please let me know and I will see if something can be arranged. Thursday 22nd January (this Thursday) - Field Trip to the National Marine Aquarium in Plymouth, meeting at the entrance at 2pm. Thursday 19th February - meeting at the Platform Office at 2pm, when I will try and put together a talk on using filters. If anybody else has some ideas, please let me know. Thursday 26th February - Field Trip to seeing the starling murmuration, which will be organised by Marion. The workshops are starting from Thursday 29th January, so please let me know if you would like to book a space.